He made specific reference to the National Democratic Party’s (NDP) Government’s explanation of why they bypassed the tender processes in the cruise pier development project. Minister for Communications and Works Hon Mark H. Vanterpool made a case yesterday July 22, 2014 during a one hour speech in the House of Assembly that Government had to press forward with the project bypassing expected procurement processes and procedures because of the threat of cruise lines pulling out of the Virgin Islands. “Madam Speaker I am talking about procedures. When procedures are circumvented in the spirit of expediting a project it opens the door for a lot of unwarranted actions to creep in,” Hon Fahie said. 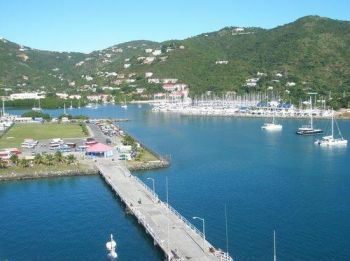 “I do not know why it was a surprise to the Government that Tortola Pier Partners (TPP) could not finance the project,” he said. “Because when I tried to look totally to who was TPP, I looked and I looked, like the song said I searched all over and I couldn’t find nobody,” he said. “After doing extensive search Madame Speaker, in Businessweek I realize Madame Speaker that [all of the people who formed TPP] also have a consortium of companies. And Madam Speaker I guess those consortium of companies is what was being looked upon by the Government that they have experience,” he said. “TPP never existed before until this project came into question. But Madam Speaker on August 23, 2012, [one of the companies in the TPP consortium] went out of business and filed for bankruptcy. With all the machinery in the Ministry of Finance they could have found this,” Hon Fahie said. “While the same players in [TPP] were filing bankruptcy, they were able to in 2012 come to the BVI and put together a company called TPP. And there is a list of companies who filed cases against them when they realize they were filing for bankruptcy,” he said. Further, he said that some of the cases against the companies were claiming fraud. “But this company…all the players came down and formed TPP,” he said. “When TPP did not come up with the funding I do not know why it was a surprise to anyone who would have done the necessary research about the players involved in the company,” Hon Fahie said. “Madam Speaker this is telling me that due process…this is telling me that the due diligence needed by the Ministry of Finance and whoever else was involved was not done. 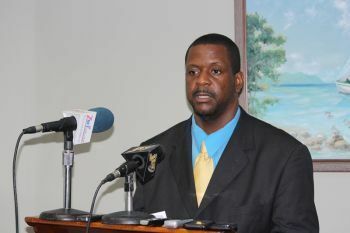 And on top of that they did not produce what they were supposed to produce because they were bankrupt,” said Hon Fahie. Biwater is spending their own money. EXACTLY! The companies contracted to spend our money should be above reproach. TPP walked away with 1.7 million dollars without doing a stroke...talk that too! why are you stealing another name? I have read about people taking other identities but why? Penny wise, and Dollar foolish! That is a darn shame!!!!!!!! Fahie make himself and the VIP look bad! TPP was NOT giving the contract by NDP because they could not meet the requirements of the contract and because of their prior records! Biwater given a contract even though they couldn't meet the requirements of the contract and their prior records! BOL!! Fahie go sit down dude! furthermore, I will believe its fair when I see politicians on the list. the "d" in ndp stands for "duttiness"
No wonder the government keep getting ripped off by these companies. Don't the government do background checks on these companies? There was no difference between Alvera and Deloris, just a lot of hot air. No background checks??? So you telling me that if Yellow bathe and put on some makeup and a wig convince Eggy to put on a suit and they both join up with JoJo with a fresh haircut, call themselves Tortola Port Posse that its very highly possible that they could have get 1.7 mil?